If you have lived more than three decades, it’s possible that your first phone was a Nokia. Despite how dominant the brand was back in the days, the name Nokia was almost forgotten, until a couple of years ago. 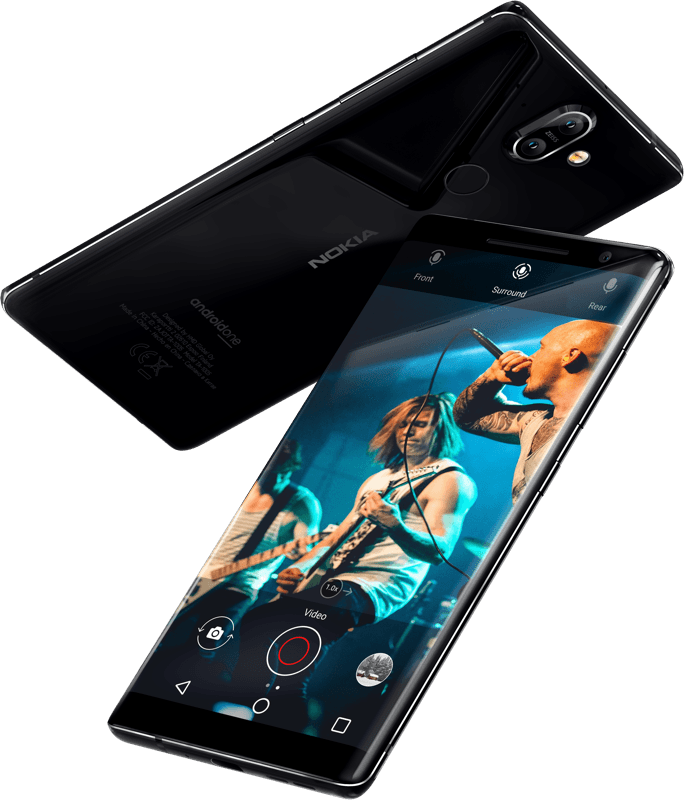 After years of trying to beat Google via competing platforms, the Finnish company finally resolved to join Android and launched the first device in January 2017 – the Nokia 6. Two years down the line, it’s like Nokia never left as just about everyone is talking about the company and its latest moves in the smartphone industry. The Nokia phones are sold by HMD Global, who have acquired the license for the brand. Today, we have a good number of Nokia phones that we can recommend to you but don’t expect any of those classics to appear on the list. Above are some of the best phones Nokia has on offer in the market at the moment. Let’s talk about them. But just so you know, some of them have been announced but are yet to hit the shelves. As for the surprisingly missing Nokia 7 Plus, it is because of the phone’s availability and the imminent launch of Nokia 7.1 Plus that led to its omission on the list, but if you can find it in a shop near you, don’t hesitate to grab one. 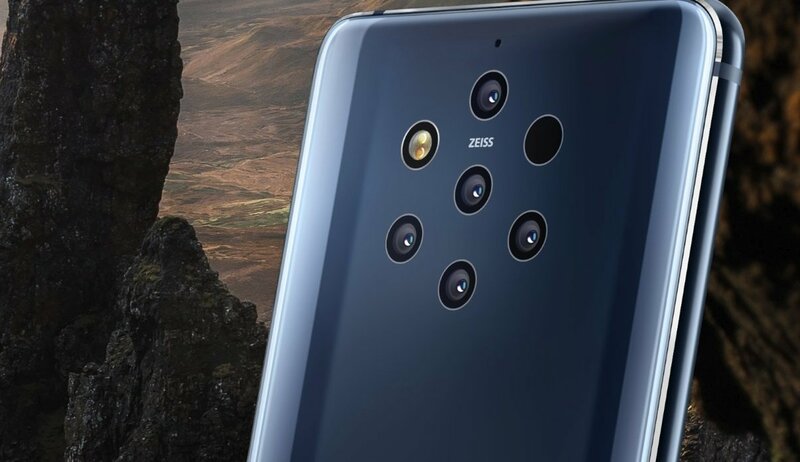 One of Nokia’s strangest smartphone to date, the Nokia 9 PureView, has up to not one, two or even three camera lenses, but a whopping five of them on the back panel. While this move doesn’t mean you are getting the best photography smartphone, it should give you some bragging rights as the only one with a 5-lens camera phone among your friends. In terms of performance specs, the Nokia 9 PureView takes after previous Nokia flagship phones by packing an older processor compared to the current-gen flagship phones. It might be disappointing for some, but considering HMD’s pricing, it’s understandable, at least. The Nokia 8.1, as you may have guessed, is the successor to the Nokia 8 from 2017, but honestly, it isn’t what we expected in terms of performance specs. Or at least for the processor. Still, the Snapdragon 710 chipset that powers the Nokia 8.1 is a product of the same 10nm process used in the production of the Snapdragon 835, which basically means we are getting just about the same phone when it comes to raw power. However, the screen is bigger with a new 18.7:9 aspect ratio, a notch, and a lower 1080p resolution. You are also getting a bigger battery, a much better selfie camera, improved AI-powered Carl ZEISS optics camera on the back, and latest Android 9 Pie out of the box, among other premium extras like NFC, 3.5mm audio jack, USB-C, Bluetooth 5.0, a rear-mounted fingerprint scanner, and so on. 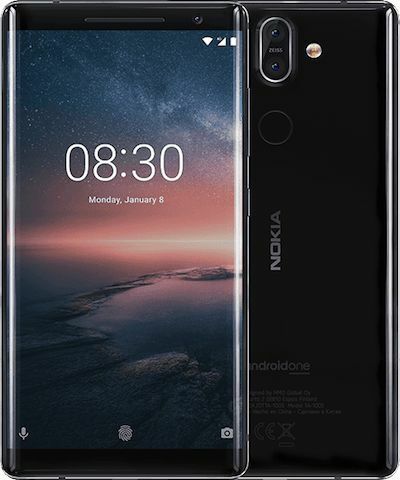 You’ll love the new design of the Nokia 8 Sirocco which features a bezel-less design in the trend at the moment, compared to the standard Nokia 8 which has a dated design featuring large bezels. The crown of the jewel is Android One. This is stock Android, which is what many diehard Android fans always pray for. 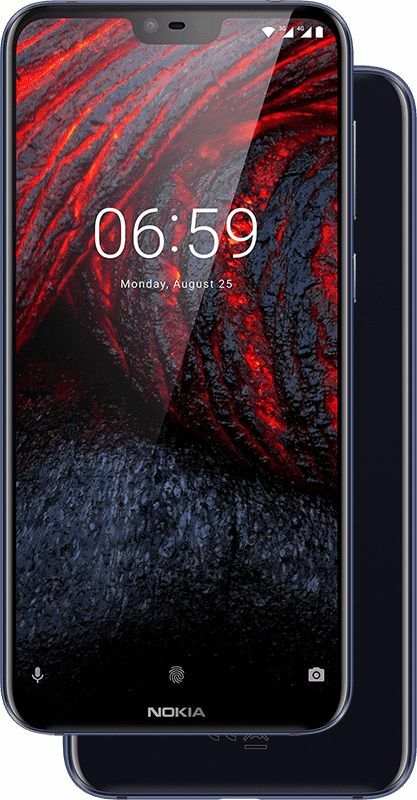 The Nokia 8 Sirocco ships with Android Oreo out of the box and given that the Nokia 8 has already received Oreo 8.1, we expect the Sirocco to get the update straight out of the box, much like what happened with the Nokia 6 2018. One little problem, though: The Nokia 8 Sirocco is obviously a year late and furthermore, you might be put off by the steep asking price of €749. In India, the Sirocco has a price tag of INR 49,999, which makes it hard to justify the product in a market that has the likes of Huawei Honor 10, OnePlus 6, Vivo X21, Asus ZenFone 5Z, and many others exchanging hands for a lot lesser. Extras: Bluetooth 5.0, USB-C, no 3.5mm audio jack, rear-mounted scanner, NFC, fast charging (QC 4.0), wireless charging, etc. If you can live with the huge bezels on the OG Nokia 8, however, it’s still a great option, especially now that it can be purchased for much lower than the initial asking price of €600. In India, it is out of stock! The Nokia 7 Plus was – and still is (at least for those who can still get hold of one) – a great piece of hardware. Great build, top-performing specs, a big battery, good cameras and best of all, up to date software all at an affordable price tag. Well, the first of its successors, the Nokia 7.1, is among us and as expected, it is an equally impressive handset. 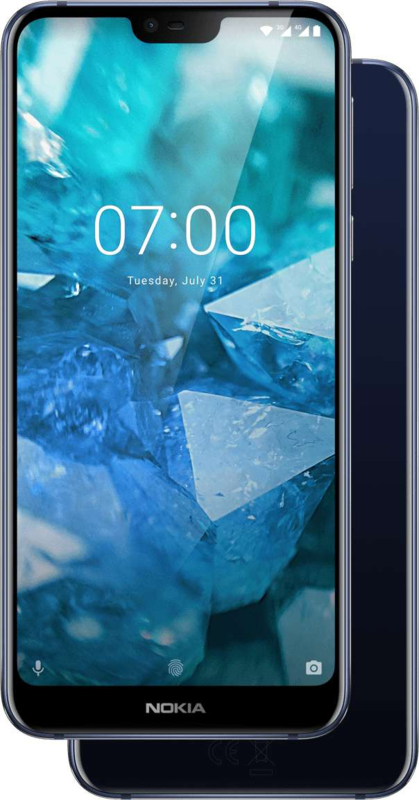 Looking at the specs of the Nokia 7.1, it is no way a successor to the Nokia 7 Plus. However, it is a class above the Nokia 7 released in 2017 and largely remained in China. While the Nokia 7.1 might not actually be a convincing deal in India, Asia and even some parts of Europe, for those in the U.S., this could easily be the best midrange phone available right now. The OG Nokia 6 remains to be one of the best-selling devices in Nokia’s short Android history. However, the phone had one major downside – a weak Snapdragon 430 chipset. 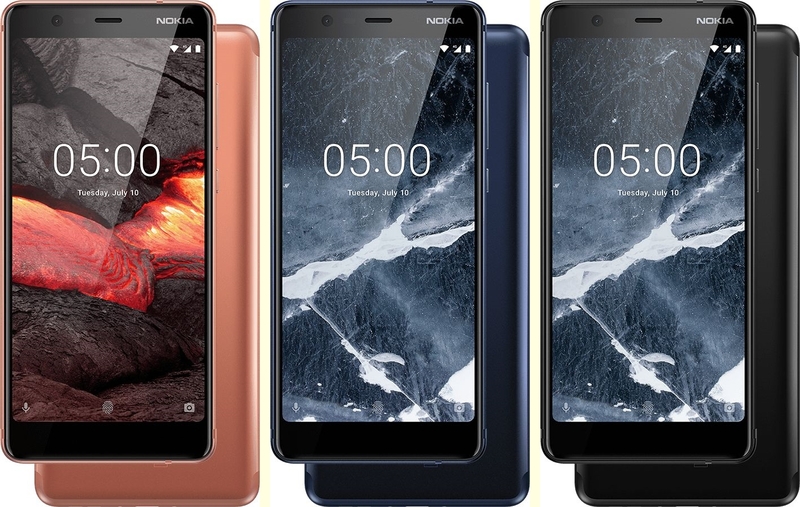 In 2018, the second-generation Nokia 6 (2018) takes care of this problem while at the same time refining the design of the handset, yet it keeps the same price tag. Cool huh! The Nokia 6 2018 has a price tag of $270 in the U.S., £229 in the UK and INR 16,999 in India. Extras: Bluetooth 5.0, USB-C, 3.5mm audio jack, rear-mounted scanner, NFC, fast charging, etc. But what if you also want a taste of the notch? Well, the Nokia 6.1 Plus is the first of its kind from HMD Global. Not only is it the first to come with a notched display, it is also the first in the company’s lineup to come with the Snapdragon 636 chipset. If the traditional 16:9 aspect ratio on the standard Nokia 6.1 didn’t excite you, the Nokia 6.1 Plus takes this to the next with a 19:9 aspect ratio for a high display to body ratio. Extras: Bluetooth 5.0, USB-C, 3.5mm audio jack, rear-mounted scanner, NFC, Quick Charge 3.0, etc. HMD Global’s follow-up to the Nokia 5, which was a mere iteration of the Nokia 6, packs some punch. Unlike its predecessor, however, you are getting familiar hardware as far as 2018 smartphone design trends are concerned. There’s a new 18:9 form factor for the display screen and under the hood, you are getting a MediaTek processor in place of Qualcomm’s. Fans of the notch have even more to smile about. If the Nokia 6.1 Plus is out of reach, there’s the Nokia 5.1 Plus. In terms of design, you are basically getting the same phone like the Nokia 6.1 Plus, but due to its slightly weaker configuration, the Nokia 5.1 Plus attracts a cheaper price tag. Extras: Bluetooth 4.2, USB-C, 3.5mm audio jack, rear-mounted scanner, NFC, fast charging, etc. The Nokia 5.1 Plus was launched alongside the Nokia 6.1 Plus in India, but HMD hasn’t given a clear roadmap as to where the devices are headed next. 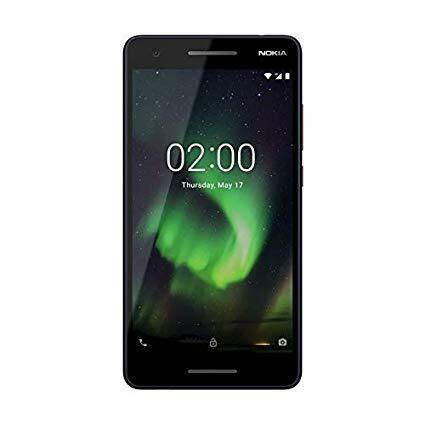 If you are in the market for a good budget phone, not just a Nokia phone, the Nokia 3.2 is one of the best out there. 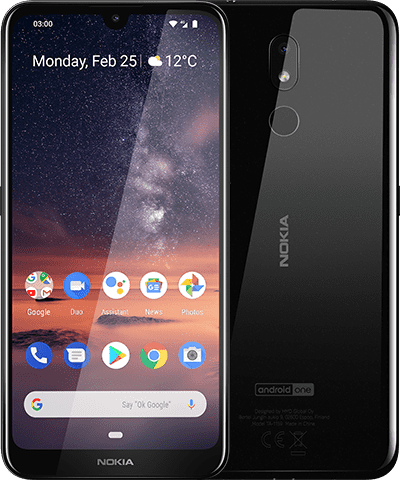 A successor to the Nokia 3.1, the 3.2 promises a bigger screen, more raw power, a new design language that conforms to the latest standards, an improved camera, a bigger battery, and Project Treble support out of the box, yet still available on the cheap. At under $160, there’s nothing to regret about this phone. 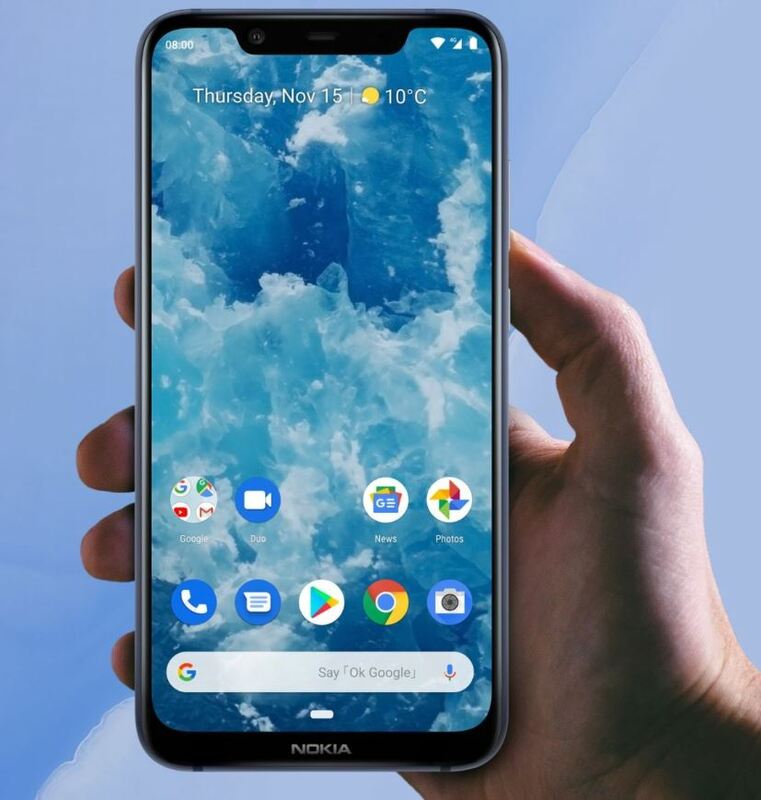 Although you won’t be wowed by the specs list, there aren’t many sub-$150 devices out there that are guaranteed regular software updates and the Nokia 3.1 is, including the version after Android Pie. Extras: Bluetooth 4.2, microUSB port, 3.5mm audio jack, Rear-mounted fingerprint scanner, 10W battery charging, etc. Its worth noting that while the Nokia 3.2 has a fingerprint sensor on the back, this feature is limited to the 32GB variant, which is kinda strange from HMD Global. A small upgrade over the standard Nokia 3.1, the Nokia 3.1 Plus isn’t easily available in most markets. The phone still packs a MediaTek chipset, but a superior Helio P22 chipset mated with the same memory options as its sibling. You also get a second lens on the back camera, a fingerprint scanner, and since the screen is also much bigger at 6 inches, you also get an equally bigger battery unit to keep the phone alive. Extras: Bluetooth 4.1, microUSB port, 3.5mm audio jack, NFC, rear-mounted FPS, etc. Like any other Nokia phone, you are promised at least two years of software updates, meaning the Nokia 3.1 Plus will receive an update to both Android 9 Pie and Android Q that comes after. The Nokia 2.0 had nearly everything one needs in a basic smartphone, especially the battery life, but it lacked a bit in performance specs. The Nokia 2.1 takes care of this in the best way possible by throwing in there a superior processor, a bigger display screen, and an equally big battery unit. The underlying software is a slimmed-down version of Android 8.1 Oreo aka Android Go which is still based on Android One and has a promise to get Android 9 Pie Go update. 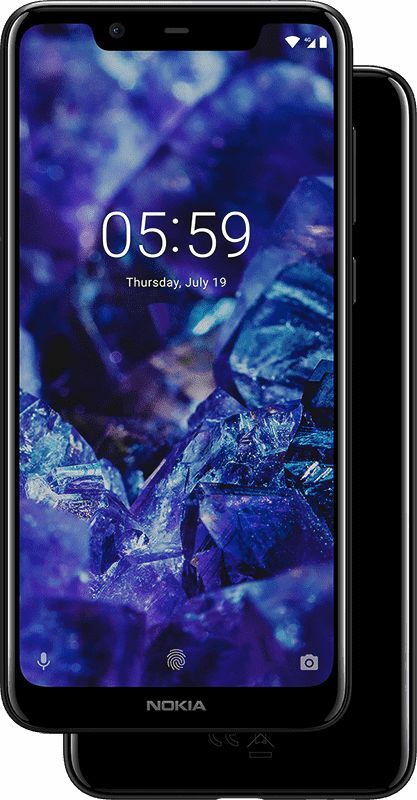 With the Nokia 2.1, you are getting a device with a Qualcomm Snapdragon processor, has a big battery, a bigger screen than its predecessor and even the Nokia 3.1, supports fast battery charging technology, and is also cheap. Of course, by picking up the Nokia 2.1 over the Nokia 3.1, you’ll be foregoing things like more RAM and storage, a slightly better camera, and an 18:9 display aspect ratio. If you can live without these, the Nokia 2.1 is without a doubt the real deal here. The fact that you can grab one for as little as $100 ($70 through Verizon Wireless) makes the deal even sweeter. 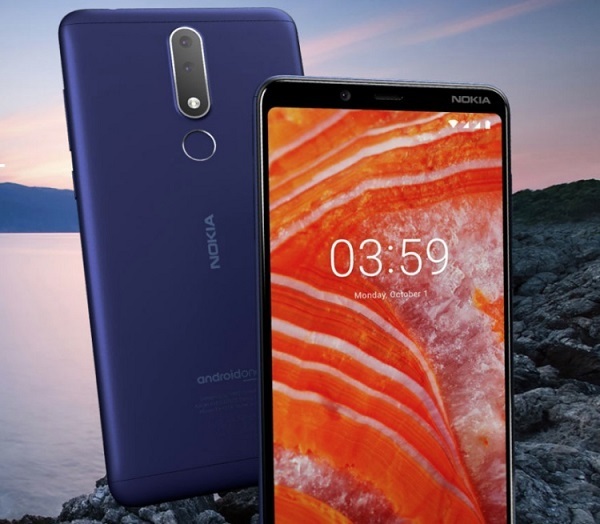 If you are a longtime user of Nokia feature phones and wouldn’t mind getting an affordable first-time Nokia smartphone, the Nokia 1 is one of the best places to start from, at least for those in the U.S. Based on the lightweight Android Go, you can be sure of an excellent device that takes care of every basic task required of a phone. The promise of software updates, including Android P, is one of the major USPs of the Nokia 1. Extras: Bluetooth 4.2, microUSB port, 3.5mm audio jack, etc. The Nokia 1 has a price tag of $85 and can be bought for as little as INR 4,999 in India. 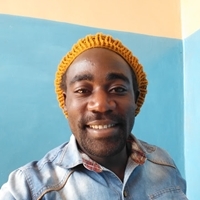 Are you looking to buy a Nokia phone? If yes, then which one and why? Also, do let us know what are your thoughts on HMD Global and its Nokia phones.